Nothing makes a man feel more put-together than a clean, smooth shave. To keep your style dapper and fresh, it's all about choosing the right shaving cream for that clean sweep. Cosmo Shaving Cream will leave your skin feeling soft, stubble-free, and clear of any irritation. 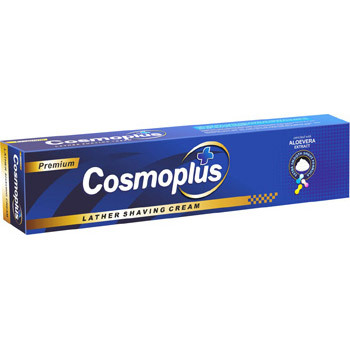 The cream enhances the shaving experience and gives smoother moisturized skin at all times.